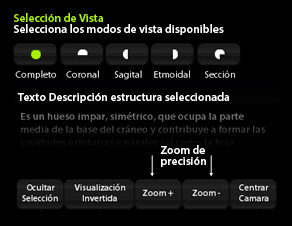 New options to focus the camera on the selected model, to work accurately and isolate the structure. To study the different anatomical elements you can travel through the references anatomically described in the navigation tree or click on each structure in the model itself. In both cases you will have detailed descriptive information beside the marked position of the structure. New option of transparencies and drawing visualization that shows the structures with lines to enhance the perspective and depth of the structures. The model has sagittal, axial, coronal and sectional cuts that will allow the user to unfold the structures and see every detail. Place the 3D model over axial, coronal and sagittal CT.
Move the CT images over the model and visualize the desired structures and their location. Enable or disable DICOM plans to provide better visualization of structures. Click on the endoscopy button. 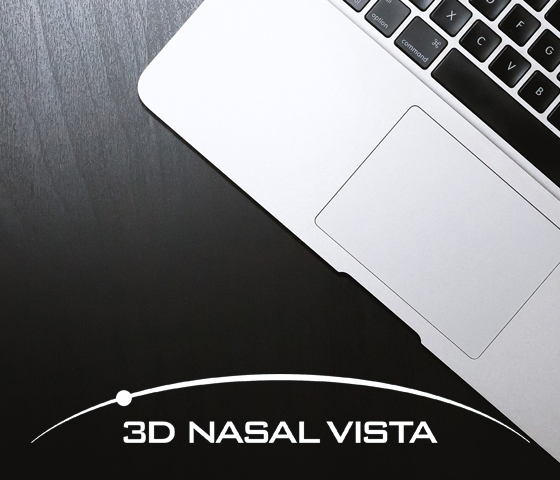 View the model from a 30º optic. 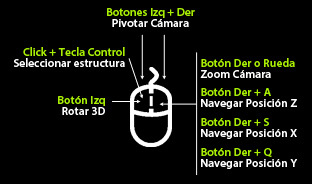 Rotate the endoscope or navigate within the anatomy.